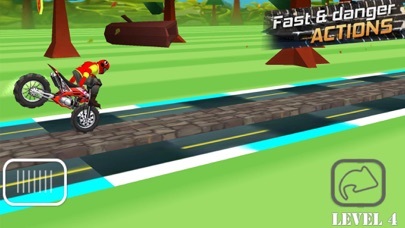 Put your helmet on and get ready for some action, crash, jump and wheelie. Nonstop fun and danger but suitable for the kids also. 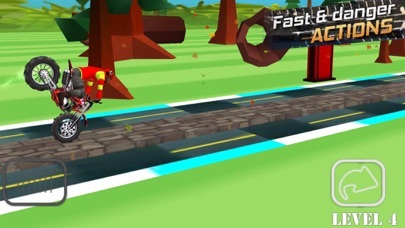 You'll have to think smart and race will skill to get over all of the obstacles on the track. Plan your run carefully and don't get too carried away or you'll fall off your bike. Features: *Real 3D graphics and HD backgrounds. *FEEL the Realistic bike physics. *Perform Unique stunts in each level. *Dangerous obstacles and Beautiful amazing tracks. 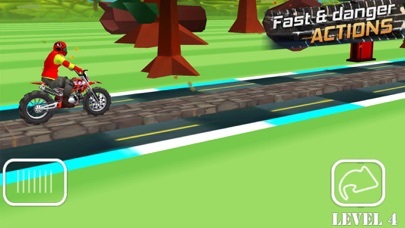 *Addictive game play with ultra smooth controls.